Brick red in colour. Plenty of fruit such as blueberry and cherries dominated by cassis displayed on a well integrated nose. Rich ripe berry flavours such as blueberry, cherry and cassis with a well integrated soft oak background. Of considerable length, soft tannins, drinking very well now. It does also have good cellaring potential. Full of classic blackberry and herbaceous tones. It’s ideal to enjoy now with hearty food and will develop further in the short term. A rich and elegant palate displaying blackberry and hints of cassis. A complex wine with layers of classic French oak, elegant tannins, and persistent dark fruit finish. Lifted blackberries, mulberry, plums, earth and dark chocolate dominate the nose and palate at this early stage. Whilst showing plenty of inky dark fruits, violets and bitter chocolate the palate also displays wonderful fruit and oak tannin, the result of 15 months oak maturation. The aromas follow through on the palate accompanied by intense blackcurrant, musk and cherry tobacco notes with toast and vanillin influences from 20 months maturation in predominantly French oak. The wine is elegant and lean with powerful tannins and a lengthy finish. A complex wine with intense cassis aromas, mulberry, cedar and spice plus hints of mint and tobacco. The palate displays a core of rich dark fruit supported by elegant structure, savoury oak and long finish. A richly layered palate of dark berry fruits and subtle oak maturation flavours, including mocha and spice. Rich plum and light mulberry highlight the toasty oak flavours and dark chocolate tones. Robust tannins lead to a long, rewarding finish. Medium to fuller bodied, complex at the first instance, with fine layers of oak overlaying very rich dark and ripe Cabernet fruits. Different to the 2012 in being more structured and finely polished this wine has persistent fine tannins and savoury fruit sweetness to resolve the finish. Will reward those who cellar. Full bodied with assertive, brick dust tannins. The dense palate is dark and brooding with blackberry, blueberries and couverture. Oak integration is seamless. There is a sense of both elegance and power; the flavours deepen and spread across the palate, freshened with balanced acidity, building to a tight and fine pure cabernet finish. The nose has a lovely array of blackcurrant and dark fruit aromas, with hints of sweet spice and vanilla in the background. The dense palate is rich, ripe and generous with an elegant palate structure full of cassis fruit and dark cherries matched with hints of spice and fine, savoury tannins. This Cabernet Sauvignon is both complex and alluring upon first tasting its dark fruit and fresh herbaceous qualities. Well balanced with dense forest fruits and fresh berries evolving with the crispness of allspice. Its poised tannins create a wonderful support to the wine while not distracting from its intriguing flavour. Copious blackberry fruit, hints of liquorice combined with the chocolate oak produce this mouth filling wine that leaves you with plush tannin and sweet fruit finish. Deep purple in colour. Classic aromas of lifted blackcurrant, blackberry and mint on the nose. Flavours follow through of sweet berry-fruit accented by fresh muddled mint. Elegant, structured palate with big velvety tannins. With purposeful aromas of mulberries, licorice, violets and a background of well integrated oak. Lovely freshness with great depth and bold fruit flavours. Sleek vibrant characters that are supported by flesh tannins. Absolutely elegant and delightful. An elegant Cabernet Sauvignon with lifted aromas of blackcurrant, savoury dried herbs and a hint of chocolate. Cherry and dark plum are carried by soft, supple tannins and a creamy vanillin nuance. People will see different flavours across the palate; some will find ripe fleshy black currants and cassis, others will find crunchy sour cherries; but both complement the overall palate with intensity, weight, structure and texture. Along with lip-smacking tannins and fine oak nuances. Enters the mouth rich and seductive, with a mixture of blackcurrant, bay leaf and chocolate dust then bursts to life with an explosion of tangy, bright acidity. It finishes fragrant, long and full of superb, fine, structured, dry tannins. The palate is regal and very mannered, starting out narrow along the palate. 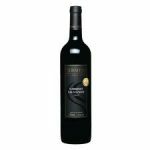 The flavours gently unfold onto a penetrating yet soft finish which is held together by silky and long tannins. A fun drink now, these tannins have some life in them and this will age well. Rich cabernet fruit flavours provide a long even palate with deep red berry blackcurrant fruit flavours by tight spicy integrated oak. The palate opens with an attack of bright berry fruit and mocha yielding to fuller satsuma and creamy oak flavours; grainy tannin balances the fruit and supports the medium bodied structure. The finish is lingering with both the tannin and fruit making an equal contribution. This Cabernet Sauvignon displays a very developed palate. Dark with rich, red hues, it exhibits a complex nose of blackcurrant with hints of mocha and chocolate. 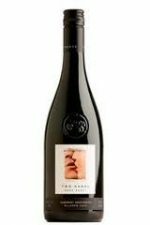 Spicy lifted and pure, 2010 vintage has a 20% Amarone component which adds juicy savoury tannins, richness and elongated length. This complexity carries over to the palate, rich, juicy and ribena-like, with plums and fruitcake characters showing through. As ever the finish is long and lingering with wonderful ‘soft grain’ tannins. A gentle entry leads to a generously textured mid palate, finishing fine, with long and silky tannins. Classical blackcurrant and cherry fruits meet with dusty well integrated oak. Subtleties of cloves, anise and cumin seed are also woven throughout the palate. A classically styled Cabernet Sauvignon palate, driven by fresh blackcurrants, aged cigar box and liquorice flavours all wrapped up in fine French oak and natural tannins and acidity. A generous palate structure expressing sweet berry fruit and light oak flavours. Ripe dark berries, plum and mulberry with a hint of regional mint highlight the abundant fruit flavours. Fine and soft tannins add to the textural and lingering finish. A sweet core of wild berry and soft plum fruits bridled by fine, gravelly fruit tannins with French oak vanilla spice to finish. The palate has grace and power. Youthful dark berry, blackcurrant and raisin toast fruit intensity leads through the front and mid palate to layers of fine grained powdery and emery tannins. Power grows through the finish which is exceptionally long with red fruits, mocha and chocolate layers. A deliciously juicy mid palate with flavours of plum, dark cherry and dried herbs. Unashamedly medium bodied with sweet juicy fruit and a fine tannin structure. 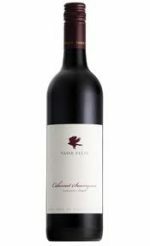 A fantastic Margaret River Cabernet Sauvignon for all occasions. A long and powerful palate, textured with dark plum and blackberry, cedary French oak and layered tannin. A concentrated Cabernet Sauvignon with fleshy blackberry and plum fruits and an elegant structure with tremendous length of flavour. 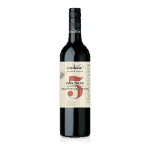 Pure red berry fruits on the front palate, a fleshy cassis flavoured mid palate and a finish with lovely freshness and a subtle tannin grip that the best young Cabernet Sauvignon wines from Margaret River are renowned for. Elegant, long and seamless. The palate is still tightly woven with precise Cabernet tannins all sinewy and finely textured. Earthy grip mingles with minerals, graphite and hints of potpourri. The palate is fresh and lively, the acid and tannin backbones working well together with a licorice core.